I've had my Kindle for a little over a month now, and I have to confess I'm still getting used to it. Truthfully, I play more games on it than read. I'm a sucker for word games, and they're perfect for when I have five spare minutes. I've only had one big issue with the Kindle--my battery was low so I powered it down. When I went to charge it, it wouldn't take the charge. And it wouldn't power back on. I went online to the Kindle forums and found this had happened to others--and they had a quick solution. It worked! So now (mental note), I make sure I don't let my battery get too low. I think my reading will increase once I have a little time to read (ebooks and print books)! I've been starting at Hannah Reed's Buzz Off for almost two weeks now. Need to find time to sit down and enjoy it. I'm hosting my bookclub this week and I picked the book. Little Bee is the title and I haven't even cracked the spin....ugh! I can't ever find the time to read. I haven't had a lot of reading time the past couple of weeks but last Saturday I had some 'riding in the car' time and took along Maria Zannini's Touch of Fire. It was just what I needed. Escaped into her story and lost myself completely. Read the whole book that day. You'll enjoy Hannah's book. It's a fun read. I justed finished Murder at the PTA and am currently reading Wendy Lyn Watson's Scoop to Kill. My Kindle stat numbers are about the same...I've bought maybe a half dozen books but downloaded maybe 40 freebies. I've read 2 books on it so far-Lauri Robinson's Wedding Night with the Ranger and Mail Order Husband. I love how it makes it so much easier to find hard-to-find titles from smaller publishers that bookstores just don't stock. I really liked Buss Off. I just finished a great rom suspense last night, Wyoming Manhunt by Ann Voss Peterson, and am now starting False Impressions by Terri Thayer. I finally started a Shelfari account to keep up with what I read in a month. I belong to a Yahoo group that that's one of the things they do, post their reading lists for the previous month, and I could never remember that long. I'm reading "Liar, Liar" by K.J. Larsen, a new-to-me author and so far I'm liking it. Just this past weekend, I downloaded two short stories for my nook and read them. I enjoyed both Buzz Off and Murder at the PTA. Have fun reading. I'm reading Harry Potter and the Deatlhy Hallows. With the 1st of the final two movies coming out next month, I want to remind myself what happened in Hallows. I'm almost done now, and I told myself that I would spend more time writing than reading, so I have to hold off on some of the cozies and romantic suspense novels that I have in my TBR stack. 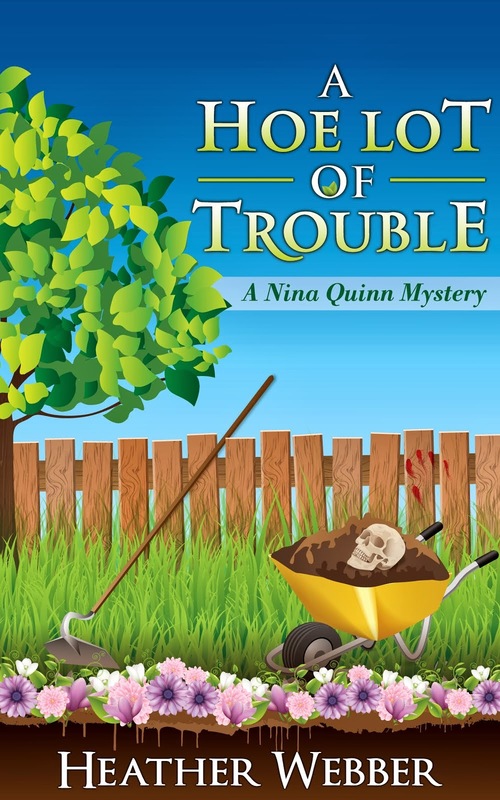 I just heard that Brenda Joyce has a new book in her "Deadly" series coming out. I. Cannot. Wait. Love that series. Romantic mysteries at their finest. Heather, wait until you find the indie books on Kindle. That's what I truly love about mine! I found this great author, Karen Cantwell, because I loved the title of her book (Take the Monkeys and Run) and at $.99 didn't care if it ended up being awful but it was amazing! I laughed so hard I scared a couple of people in public. $.99! And she's sold over 4,000 copies all by her self-published little self. Enough to get herself a print run. 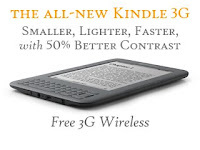 Plus foreign books that are an arm and leg are reasonable for Kindle. Thanks for the Kindle update and tips! I'm getting one for Christmas -- yes, I had to be told that I was getting it, so I wouldn't go off and buy it myself! Looking forward to having more than one book with me at a time -- or a whole library! I guess I didn't even know you could play games on it ... go figure! Can't wait to be able to download some of those ebook-only reads (yes, I know I could read them on my computer, but geez, I work at my computer 6 to 7 days a week -- I really need to get away from it for reading!). Keep the updates coming!